Come to Morro Bay on the beautiful central coast of California, and enjoy the professional services of Rio Salon and Spa. 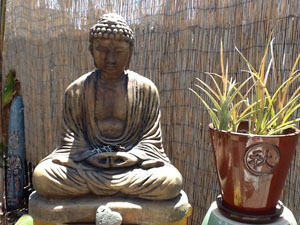 This Morro Bay salon has a relaxed atmosphere and is located in the heart of downtown. We have a professional spa and salon staff offering hair treatments, customized facials, lash enhancements and relaxing therapeutic massage to name just a few of the services we offer. An upscale and up to date environment for your beauty needs. Our reception area and working space have been remodeled with gorgeous furniture and fine art that is designed for function, but with a nice tranquil vibe. Our staff are all licensed professionals and participate in an ongoing program of show and class opportunities to keep up on the latest trends and techniques. 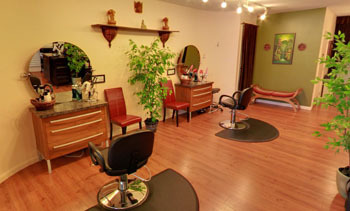 Our spacious hair design area has hair artists and color specialists making people look and feel great. 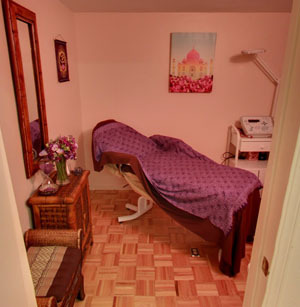 We have three beautiful, fully equipped treatment rooms for your skincare, massage, waxing, hair removal, facials, electrolysis and brow maintenance needs. Our salon services are exactly what you are looking for. Whether you need to cut your hair, get hair color, put in some highlights, or any other hair styling service, the professionals at Rio Salon in Morro Bay want to help you look your best. Here are the great salon services we offer. Our spa services are one of a kind. We take each client and give them the best possible treatment according to their own needs. With the relaxing, tranquil atmosphere of our salon, you will enjoy the experience at our salon and day spa in Morro Bay. Here is a sampling of our spa services available. See link below to view full menu.